The bone moves in this doggies mouth! 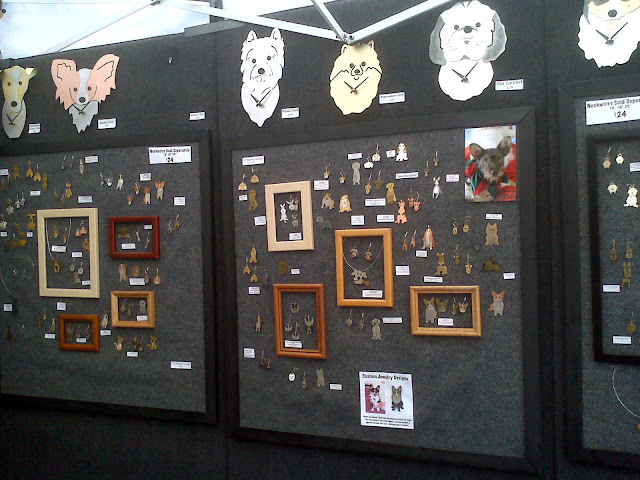 We get the chance to see lots of talented artists at art fairs and festivals in the Atlanta area, and we find ourselves drawn to some of the pet-related products and designs. So over the next few weeks, To Dog With Love will feature some of our favorites, starting with an artist we met last weekend at the Virginia Highlands Summerfest. Jewelry designer Anita Edwards creates whimsical animal jewelry and wall art -- hand cut with a jeweler's saw from sheets of sterling silver, brass and copper. Her creations are hand-finished and hand-assembled, and even have moving parts. She says her goal is to bring you art that will make you smile, and we can't help but smile at these fun creations. 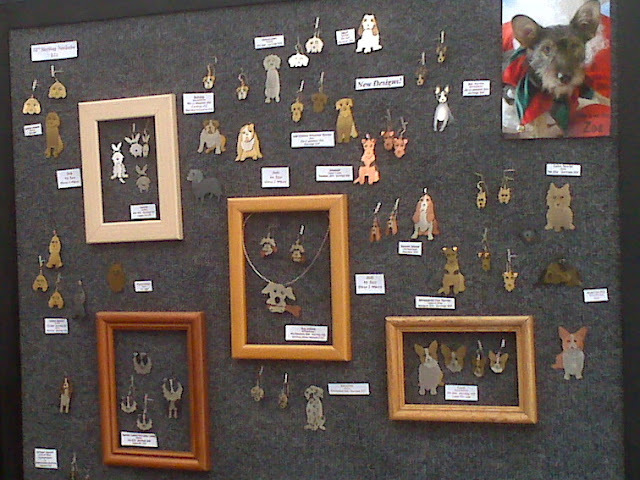 Here's a look at Anita's booth at Summerfest. Anita says she is a life-long animal lover. Her father, a wildlife biologist, introduced her to animal rescue by constantly bringing her homeless animals he had found in the woods. As an adult, Anita has surrounded herself with dogs and cats and works with her local humane society as a pet-facilitated therapy volunteer. Her current loves are a terrier mix puppy, Zoe, and two big-boy, fat cats (Anita's words!) Stan and Ollie. That's a photo of Zoe in the upper right-hand corner. 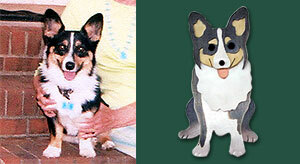 For yourself or a gift for your favorite pet-lover, we love these adorable creations! 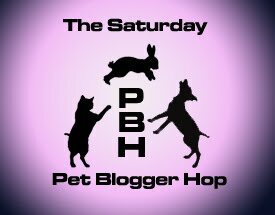 Now, let's hop on over the the Saturday Pet Bloggers Hop! These look adorable! Summer's right around the corner here and that means lots of outdoor fairs for us too! I love going to the "pet friendly" ones. Thanks for sharing, looking forward to more artistic finds! Newest follower from the blog hop here. Some really cute pet lover finds there! Wish we had more outdoor markets here. Oh,wow! These are awesome! Bones that move - fabulous! And, man, she is one prolific artist. We're gonna have to show this to our Mom and tell her to step it up! Thanks for sharing these! These are really cute!! Thanks for sharing. we love anything dogger! These are awesome - thanks for sharing! 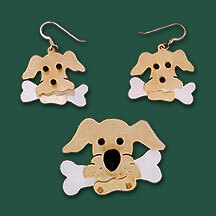 I wouldn't really want to wear these as jewelry (I mean I love my dog but I don't love him so much I want to wear him on my ears! ), but I love the idea of using them as wall art!